Left photo a quick peek at the cozy corner of my own World and unless you are an aspiring student on cross-continent tour, you want the trip to be as comfortable as possible without affairs, and the international this hub of the Orient offers many, but terms and locations change regular pending contracts so all information on this Page holds true between ThanksGiving and Christmas 2015 on mostly membership and some pay lounges operated by airlines and credit card companies . do check in advance on operating hours, as they differ from airlines to airport information . 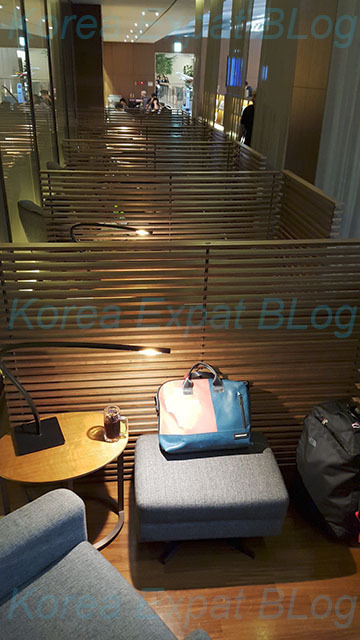 although a few local Korean credit card companies opened airport membership lounges from 2010, all had closed by early 2014 and now provide privileges in conjunction with airline and independent lounges . ♨ mark includes shower facilities and (*) are open hours verified through Official site . another Matina Lounge at opposite East-end 4F same hours & Tel. GimPo AirPort : as this formerly domestic airport, now with an international terminal serving near-by airports in Japan and Taiwan – has much fewer lounges considering its relative short flight times, so understandably half-a-dozen coffee shops take its place . this Page is dedicated to sea-faring voyagers who dared to cross vast oceans, for glory and fortune when comfort was the last thing to expect, amid even safety through treacherous terrines and people .